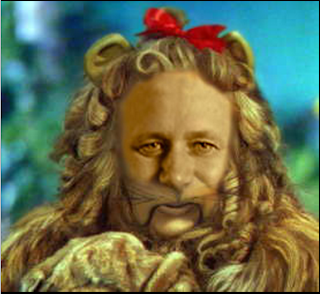 The Twain Shall Meet: OPINION PIECE ~ Stephen Joseph Harper is a Coward! OPINION PIECE ~ Stephen Joseph Harper is a Coward! YES. In my opinion, he has always been a coward. He will remain a coward. He needs to start actually hearing actual LOUD CRITICISM from those with a voice. And we have to speak while we still have a voice. We need to tell Canada that a coward is just not good enough to lead a country of brave citizens. This 88 year old Canadian had No trouble speaking her mind during the last election when Harper was "promising" to help Seniors. She saw right through it. I weigh in at CBC on line ~ Question of the day ~ Will this affect you? TTSM ~ Comment at CBC.ca Question of the Day. And to get that Louder message out there we Canadians have to be seen as a lot more brave than we have been in the past. We need to move out past Facebook and Twitter and be active all over the virtual world, and be heard in the real world much more often and much more Loudly than most Canadians now are. A few days ago, Mr. Harper spent a few uncomfortable hours forcing himself to spend an entire business day listening to First Nations Leaders. He gave no idea of any policy changes, nor was anything at all decided during those very short 'meetings'. He had managed to tell the world a few days prior to this conference that he was not sure if he would be able to spend the whole day. That he is a very busy man with a country to 'run' (a more honest word is ruin) and that the First Nations Leaders could always talk to their Conservative MPs. Not only is it generally impossible to get any face time with those so-called Conservatives in his caucus, but what would be the point? They do not answer questions. They do not offer solutions. I don't think they have any answers. They do not represent a solution. 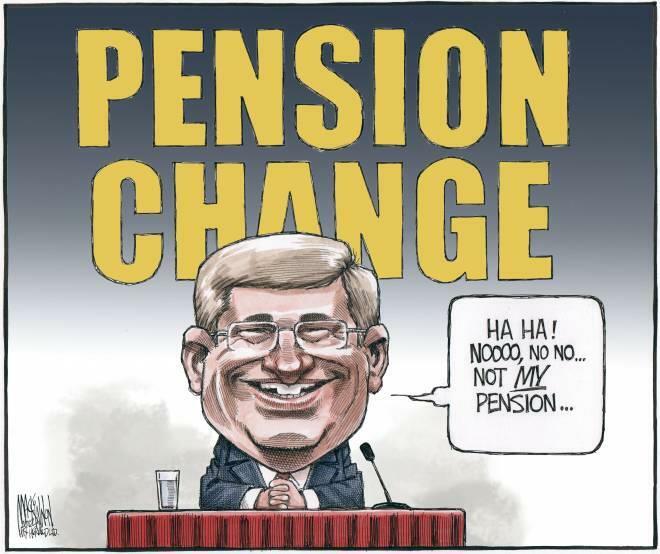 They are no braver than Mr. Harper. He has yet again, successfully kicked the can down the road a ways. He has for now, just by being his usual slippery self, managed to put off the looming questions over such huge issues as First Nations; education, property rights, mineral rights, health care, drinking water, housing, etc. etc. etc. He has again pulled the wool over our eyes, this time by focusing the Main Stream Media attention on his attendance at the First Nations Conference, and only on his attendance, and asking nothing of him at all. They all agreed that he had put in a full six hour day and literally told us that we should be as pleased as punch that this man had actually been there. For reasons that simply do not add up, they have given him yet another day-pass and allowed him to run well actually to fly away in opulent luxury to the 2012 World Economic Forum in Davos Switzerland where he spoke yesterday. He should be held responsible for his sinking of the Kelowna Accord and his complete snow job on the Attawapiskat crisis. AT DAVOS he spoke briefly about how he has been Canada's saviour and how he represents Canada's strength. He literally lectured the rest of the world on how they should have done what Canada has done to stave off the current deep downturn in the economy. Once again though he failed to give the credit to those who deserve it. He is not the reason for canada's relative stability. He inherited it from the Liberals and had it been up to him, none of the safeguards that are in play in our banking system would still be in place. In My opinion, he is a fraud as an economist, and he is a fraud as a leader. And that my friends is an opinion that is becoming more widely held. It is about time. He was, as you can see above, unable to stick to the theme of the conference and having in his own mind, made himself look like a hero, he turned his attention homeward and took the time to make a statement or two that can only have been directed at those of us back in Harper Land. His words were a shock to most of us. He spoke about his new plans (again with absolutely no details) to tamper with Canada's Old age supplements and as rumour has it, also our age of eligibility. He likes to talk to us from a safe distance. It is the mark of a coward after all. How Secure is HIS Pension? which opens Monday, Jan, 30th, 2012. For more information on Harper's habit of hiding, see my previous blog, further down this page. Blink and You will Miss him! This is quite an eye opener, Kim. You are right though, most of us do not dare say such things, even though it is all true. Ha! Good one! I think we also need to make more of the fact that he studied Stalin and to look at some of the early stuff Stalin did.